The removal of these microscopic particles from deep within a flower would make the nectar flunk the quality standards set by most of the world’s food safety agencies. Food Safety News purchased more than 60 jars, jugs and plastic bears of honey in 10 states and the District of Columbia. •76 percent of samples bought at groceries had all the pollen removed, These were stores like TOP Food, Safeway, Giant Eagle, QFC, Kroger, Metro Market, Harris Teeter, A&P, Stop & Shop and King Soopers. •100 percent of the honey sampled from drugstores like Walgreens, Rite-Aid and CVS Pharmacy had no pollen. •77 percent of the honey sampled from big box stores like Costco, Sam’s Club, Walmart, Target and H-E-B had the pollen filtered out. •100 percent of the honey packaged in the small individual service portions from Smucker, McDonald’s and KFC had the pollen removed. •Bryant found that every one of the samples Food Safety News bought at farmers markets, co-ops and “natural” stores like PCC and Trader Joe’s had the full, anticipated, amount of pollen. And if you have to buy at major grocery chains, the analysis found that your odds are somewhat better of getting honey that wasn’t ultra-filtered if you buy brands labeled as organic. Out of seven samples tested, five (71 percent) were heavy with pollen. All of the organic honey was produced in Brazil, according to the labels. The National Honey Board, a federal research and promotion organization under USDA oversight, says the bulk of foreign honey (at least 60 percent or more) is sold to the food industry for use in baked goods, beverages, sauces and processed foods. Food Safety News did not examine these products for this story. Some U.S. honey packers didn’t want to talk about how they process their merchandise. One who did was Bob Olney, of Honey Tree Inc., in Michigan, who sells its Winnie the Pooh honey in Walmart stores. Bryant’s analysis of the contents of the container made in Winnie’s image found that the pollen had been removed. Olney says that his honey came from suppliers in Montana, North Dakota and Alberta. “It was filtered in processing because North American shoppers want their honey crystal clear,” he said. However, most beekeepers say traditional filtering used by most will catch bee parts, wax, debris from the hives and other visible contaminants but will leave the pollen in place. Ernie Groeb, the president and CEO of Groeb Farms Inc., which calls itself “the world’s largest packer of honey,” says he makes no specific requirement to the pollen content of the 85 million pounds of honey his company buys. 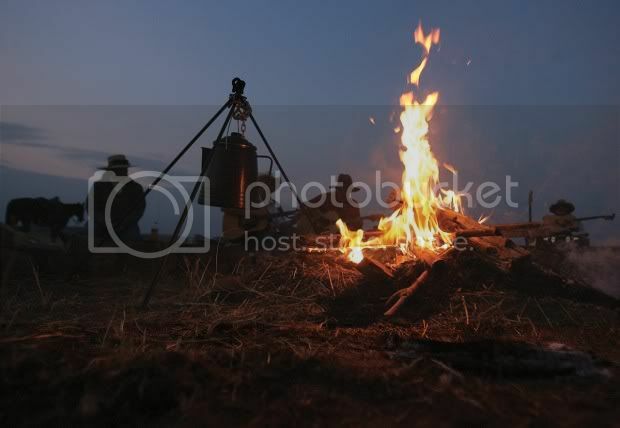 He says that there are many different filtering methods used by beekeepers and honey packers. “We buy basically what’s considered raw honey. We trust good suppliers. That’s what we rely on,” said Groeb, whose headquarters is in Onsted, Mich. Removal of all pollen from honey “makes no sense” and is completely contrary to marketing the highest quality product possible, Mark Jensen, president of the American Honey Producers Association, told Food Safety News. 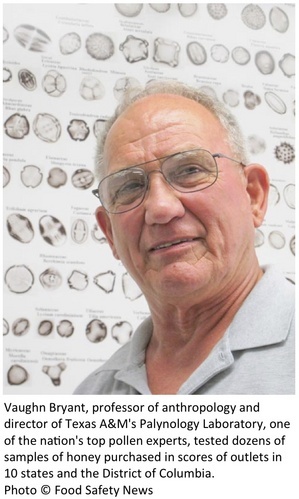 “There is only one reason to ultra-filter honey and there’s nothing good about it,” he says. “It’s no secret to anyone in the business that the only reason all the pollen is filtered out is to hide where it initially came from and the fact is that in almost all cases, that is China,” Adee added. ltra-filtered when they buy it. The co-op markets retail under Sue Bee, Clover Maid, Aunt Sue, Natural Pure and many store brands. Eric Wenger, director of quality services for Golden Heritage Foods, the nation’s third largest packer, said his company takes every precaution not to buy laundered Chinese honey. “We are well aware of the tricks being used by some brokers to sell honey that originated in China and laundering it in a second country by filtering out the pollen and other adulterants,” said Wenger, whose firm markets 55 million pounds of honey annually under its Busy Bee brand, store brands, club stores and food service. He said his company uses “extreme care” including pollen analysis when purchasing foreign honey, especially from countries like India, Vietnam and others that have or have had “business arrangements” with Chinese honey producers. Golden Heritage, Wenger said, then carefully removes all pollen from the raw honey when it’s processed to extend shelf life, but says, “as we see it, that is not ultra-filtration. Chinese honey has long had a poor reputation in the U.S., where – in 2001 – the Federal Trade Commission imposed stiff import tariffs or taxes to stop the Chinese from flooding the marketplace with dirt-cheap, heavily subsidized honey, which was forcing American beekeepers out of business. The FDA — either because of lack of interest or resources — devoted little effort to inspecting imported honey. Nevertheless, the agency had occasionally either been told of, or had stumbled upon, Chinese honey contaminated with chloramphenicol and other illegal animal antibiotics which are dangerous, even fatal, to a very small percentage of the population. Mostly, the adulteration went undetected. Sometimes FDA caught it. In one instance 10 years ago, contaminated Chinese honey was shipped to Canada and then on to a warehouse in Houston where it was sold to jelly maker J.M. Smuckers and the national baker Sara Lee. By the time the FDA said it realized the Chinese honey was tainted, Smuckers had sold 12,040 cases of individually packed honey to Ritz-Carlton Hotels and Sara Lee said it may have been used in a half-million loaves of bread that were on store shelves. Eventually, some honey packers became worried about what they were pumping into the plastic bears and jars they were selling. They began using in-house or private labs to test for honey diluted with inexpensive high fructose corn syrup or 13 other illegal sweeteners or for the presence of illegal antibiotics. But even the most sophisticated of these tests would not pinpoint the geographic source of the honey. Food scientists and honey specialists say pollen is the only foolproof fingerprint to a honey’s source. Federal investigators working on criminal indictments and a very few conscientious packers were willing to pay stiff fees to have the pollen in their honey analyzed for country of origin. That complex, multi-step analysis is done by fewer than five commercial laboratories in the world. But, Customs and Justice Department investigators told Food Safety News that whenever U.S. food safety or criminal experts verify a method to identify potentially illegal honey – such as analyzing the pollen – the laundering operators find a way to thwart it, such as ultra-filtration. The U.S. imported 208 million pounds of honey over the past 18 months. Almost 60 percent came from Asian countries – traditional laundering points for Chinese honey. This included 45 million pounds from India alone. And websites still openly offer brokers who will illegally transship honey and scores of other tariff-protected goods from China to the U.S. The Food and Drug Administration weighed into the filtration issue years ago. “The FDA has sent a letter to industry stating that the FDA does not consider ‘ultra-filtered’ honey to be honey,” agency press officer Tamara Ward told Food Safety News. Many in the honey industry and some in FDA’s import office say they doubt that FDA checks more than 5 percent of all foreign honey shipments. For three months, the FDA promised Food Safety News to make its “honey expert” available to explain what that statement meant. It never happened. Further, the federal food safety authorities refused offers to examine Bryant’s analysis and explain what it plans to do about the selling of honey it says is adulterated because of the removal of pollen, a key ingredient. Major food safety standard-setting organizations such as the United Nations’ Codex Alimentarius, the European Union and the European Food Safety Authority say the intentional removal of pollen is dangerous because it eliminates the ability of consumers and law enforcement to determine the actual origin of the honey. “The removal of pollen will make the determination of botanical and geographic origin of honey impossible and circumvents the ability to trace and identify the actual source of the honey,” says the European Union Directive on Honey. It even suggested what size mesh to use (not smaller than 0.2mm or 200 micron) to filter out unwanted debris — bits of wax and wood from the frames, and parts of bees — but retain 95 percent of all the pollen. Food Safety News asked Bryant to analyze foreign honey packaged in Italy, Hungary, Greece, Tasmania and New Zealand to try to get a feeling for whether the Codex standards for pollen were being heeded overseas. The samples from every country but Greece were loaded with various types and amounts of pollen. Honey from Greece had none. In many cases, consumers would have an easier time deciphering state secrets than pinning down where the honey they’re buying in groceries actually came from. The majority of the honey that Bryant’s analysis found to have no pollen was packaged as store brands by outside companies but carried a label unique to the food chain. For example, Giant Eagle has a ValuTime label on some of its honey. In Target it’s called Market Pantry, Naturally Preferred and others. Walmart uses Great Value and Safeway just says Safeway. Wegmans also uses its own name. Who actually bottled these store brands is often a mystery. A noteworthy exception is Golden Heritage of Hillsboro, Kan. The company either puts its name or decipherable initials on the back of store brands it fills. The big grocery chains were no help in identifying the sources of the honey they package in their store brands. 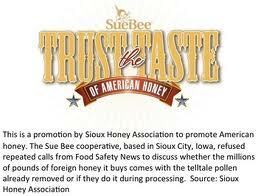 One of the customer service representatives said the contact address on two of the honeys being questioned was in Sioux City, Iowa, which is where Sioux Bee’s corporate office is located. Jessica Carlson, a public relations person for Target, waved the proprietary banner and also refused to say whether it was Target management or the honey suppliers that wanted the source of the honey kept from the public. Similar non-answers came from representatives of Safeway, Walmart and Giant Eagle. Rite Aid, Walgreen and CVS have yet to supply the information. Only two smaller Pacific Northwest grocery chains – Haggen and Metropolitan Market – both selling honey without pollen, weren’t bashful about the source of their honey. Haggen said right off that its brand comes from Golden Heritage. Metropolitan Market said its honey – Western Family – is packed by Bee Maid Honey, a co-op of beekeepers from the Canadian provinces of Manitoba, Saskatchewan, Alberta and British Columbia. Why should consumers care if their honey has had its pollen removed? But beyond pollen’s reported enzymes, antioxidants and well documented anti-allergenic benefits, a growing population of natural food advocates just don’t want their honey messed with. There is enormous variety among honeys. They range in color from glass-clear to a dark mahogany and in consistency from watery to chunky to a crystallized solid. It’s the plants and flowers where the bees forage for nectar that will determine the significant difference in the taste, aroma and color of what the bees produce. It is the processing that controls the texture. 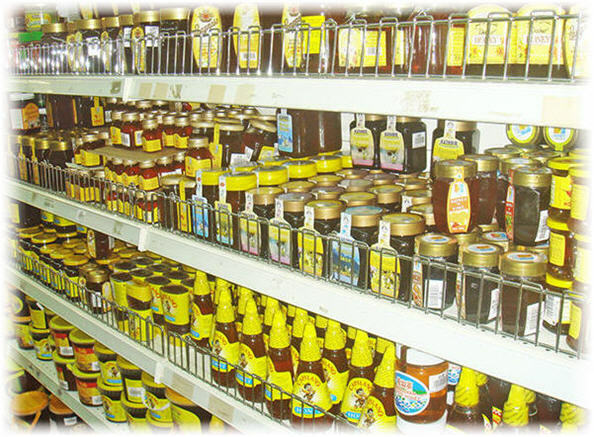 Food historians say that in the 1950s the typical grocery might have offered three or four different brands of honey. Today, a fair-sized store will offer 40 to 50 different types, flavors and sources of honey out of the estimated 300 different honeys made in the U.S.. And with the attractiveness of natural food and the locavore movement, honey’s popularity is burgeoning. Unfortunately, with it comes the potential for fraud. Concocting a sweet-tasting syrup out of cane, corn or beet sugar, rice syrup or any of more than a dozen sweetening agents is a great deal easier, quicker and far less expensive than dealing with the natural brew of bees. However, even the most dedicated beekeeper can unknowingly put incorrect information on a honey jar’s label. Bryant has examined nearly 2,000 samples of honey sent in by beekeepers, honey importers, and ag officials checking commercial brands off store shelves. Types include premium honey such as “buckwheat, tupelo, sage, orange blossom, and sourwood” produced in Florida, North Carolina, California, New York and Virginia and “fireweed” from Alaska. “Almost all were incorrectly labeled based on their pollen and nectar contents,” he said. Out of the 60 plus samples that Bryant tested for Food Safety News, the absolute most flavorful said “blackberry” on the label. When Bryant concluded his examination of the pollen in this sample he found clover and wildflowers clearly outnumbering a smattering of grains of blackberry pollen. For the most part we are not talking about intentional fraud here. Contrary to their most fervent wishes, beekeepers can’t control where their bees actually forage any more than they can keep the tides from changing. They offer their best guess on the predominant foliage within flying distance of the hives. “I think we need a truth in labeling law in the U.S. as they have in other countries,” Bryant added. No one can say for sure why the FDA has ignored repeated pleas from Congress, beekeepers and the honey industry to develop a U.S. standard for identification for honey. Nancy Gentry owns the small Cross Creek Honey Company in Interlachen, Fla., and she isn’t worried about the quality of the honey she sells. “I harvest my own honey. We put the frames in an extractor, spin it out, strain it, and it goes into a jar. It’s honey the way bees intended,” Gentry said. But the negative stories on the discovery of tainted and bogus honey raised her fears for the public’s perception of honey. She spent months of studying what the rest of the world was doing to protect consumers from tainted honey and questioning beekeepers and industry on what was needed here. Gentry became the leading force in crafting language for Florida to develop the nation’s first standard for identification for honey. In July 2009, Florida adopted the standard and placed its Division of Food Safety in the Department of Agriculture and Consumer Services in charge of enforcing it. It’s since been followed by California, Wisconsin and North Carolina and is somewhere in the state legislative or regulatory maze in Georgia, Virginia, Maryland, Ohio, New York, Texas, Kansas, Oregon, North Dakota, South Dakota, West Virginia and others. John Ambrose’s battle for a national definition goes back 36 years. He said the issue is of great importance to North Carolina because it has more beekeepers than any other state in the country. He and others tried to convince FDA that a single national standard for honey to help prevent adulterated honey from being sold was needed. The agency promised him it would be on the books within two years. “But that never happened,” said Ambrose, a professor and entomologist at North Carolina State University and apiculturist, or bee expert. North Carolina followed Florida’s lead and passed its own identification standards last year. Ambrose, who was co-chair of the team that drafted the state beekeeper association’s honey standards says the language is very simple, ”Our standard says that nothing can be added or removed from the honey. So in other words, if somebody removes the pollen, or adds moisture or corn syrup or table sugar, that’s adulteration,” Ambrose told Food Safety News. But still, he says he’s asked all the time how to ensure that you’re buying quality honey. ”The fact is, unless you’re buying from a beekeeper, you’re at risk,” was his uncomfortably blunt reply. Eric Silva, counsel for the American Honey Producers Association said the standard is a simple but essential tool in ensuring the quality and safety of honey consumed by millions of Americans each year. “Without it, the FDA and their trade enforcement counterparts are severely limited in their ability to combat the flow of illicit and potentially dangerous honey into this country,” Silva told Food Safety News. It’s not just beekeepers, consumers and the industry that FDA officials either ignore or slough off with comments that they’re too busy. New York Sen. Charles Schumer is one of more than 20 U.S. senators and members of Congress of both parties who have asked the FDA repeatedly to create a federal “pure honey” standard, similar to what the rest of the world has established.